Isn't it just a wonderful feeling when a new piece that you absolutely love arrives on your doorstep and you realise that it perfectly matches something that you already own? That's what happened with my necklace and bag here; seriously they match so well they could have been in a set! #easilypleased haha. Anyway this absolutely stunning necklace is by a small brand called Lou & Lace which is a relatively new little business from my hometown. They stock so many gorgeous statement necklaces I found it so hard to choose between them, eventually settling on this yellow and crystal piece. It arrived in such cute lacey packaging (which I ripped off excitedly before getting a decent photo, bad blogger!) and the quality is great - dare I say better quality in fact than most of the high street stores in which I usually pick up my jewellery? So it would be great if all of you lovely people could check out Lou & Lace's Instagram page and Facebook page where you can place any orders. I adore this outfit! I have the same bag but in blue its a perfect size and goes well with a lot of outfits! Love the bag! Its color is amazing and definitely adds to the entire look! 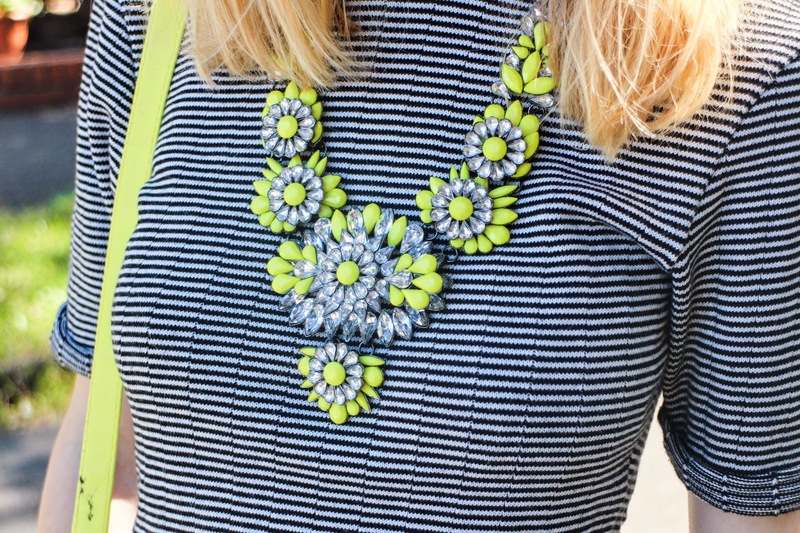 Amazingly styled with the neon yellow necklace. 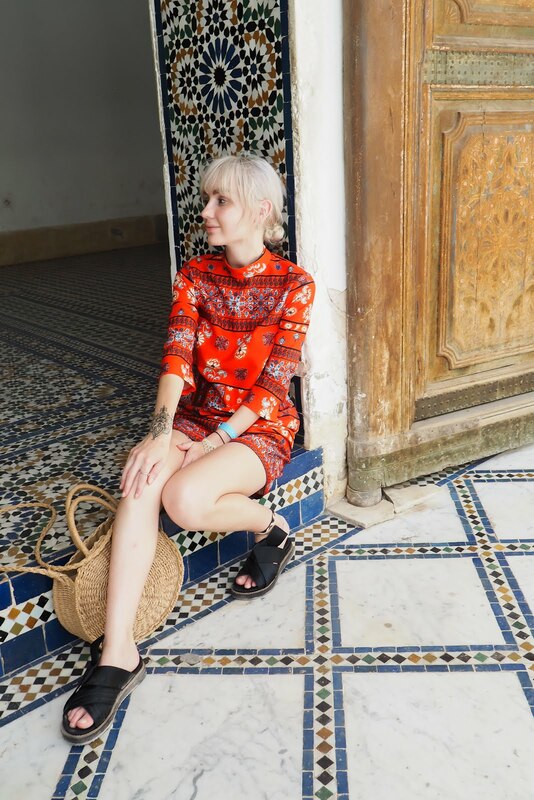 Such a summery yet stylish outfit! That necklace is beautiful and it looks lovely with your outfit! The neon bag and the necklace go with eachother so well! I can imagine how happy you were when you received the necklace. The leather shorts are really cute! They suit you super well. I just love this look, the colours are amazing! Your hair is gorgeous, so French! Would love if you could check out my blog if you get a chance! The neon pop is insane. Absolutely love the pops of colour in your outfit & your necklace is gorgeous! Great post, you look amazing! Love the bag! Your hair is giving me life! Your shorts and bag are amazing! I love the whole look! LOVE this bag, necklace and top - perfect together! you look awesome, i really want those shorts now! Love the bag! You look so chic.. I like this streetstyle look! It looks really cool! Dying over how beautiful you look in this. Great styling, especially keen on how you tousled your hair. love all the neon yellow accents! cool outfit!